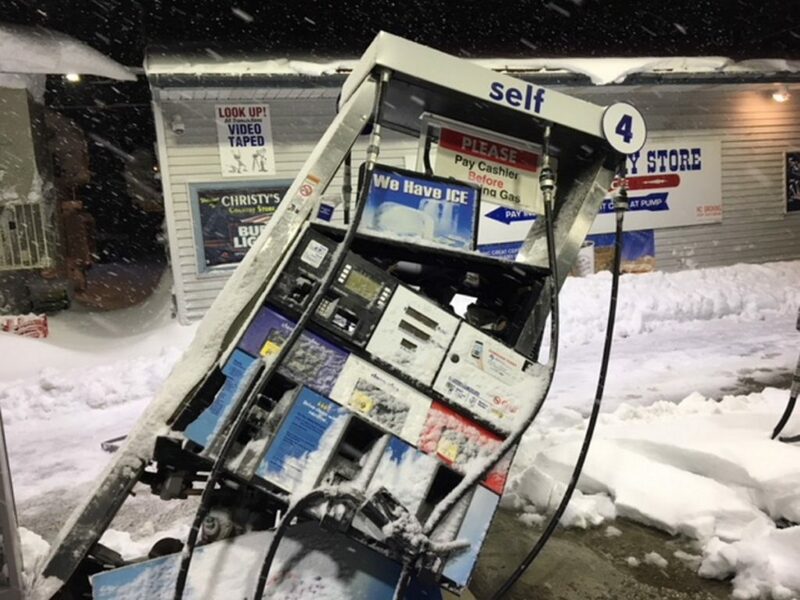 The super-unleaded fuel leaked last week after a plow truck backed into a gasoline pump during a snowstorm. 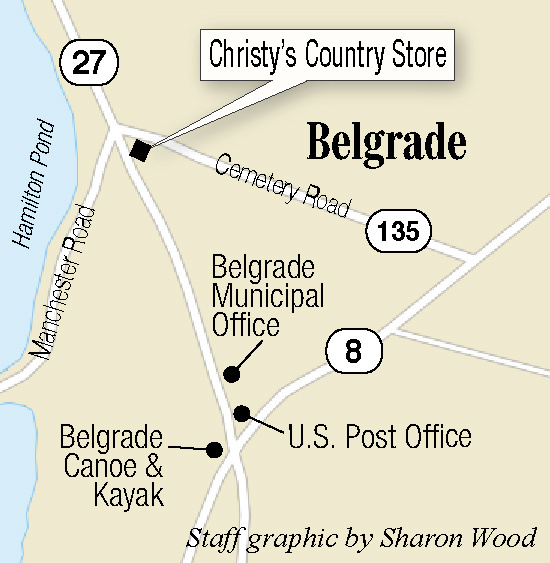 State-led cleanup efforts continued this week in the wake of the estimated 1,800 gallons of super-unleaded fuel that spilled when a vehicle struck a gasoline pump at Christy’s Country Store in Belgrade during a recent snowstorm. 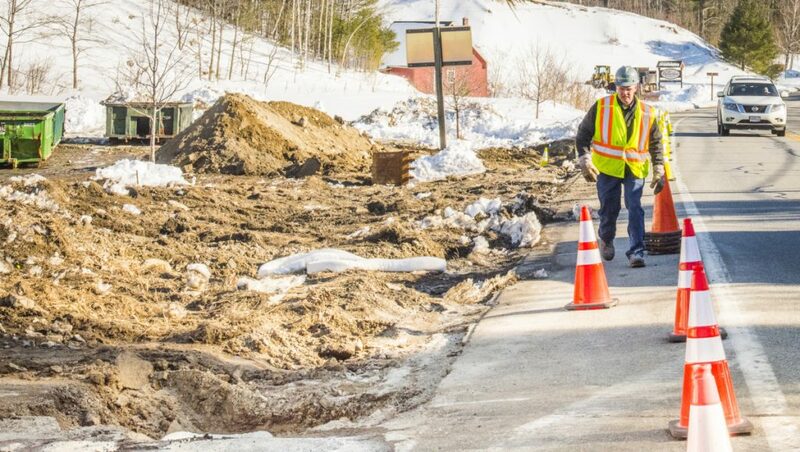 About 200 cubic yards of contaminated snow and 200 cubic yards of contaminated soil have been removed from the area, David Madore, director of communications for the Maine Department of Environmental Protection, said Tuesday. He also said three wells in the area — none of them residential wells — are being tested or will be tested for contaminants, and that results of those tests take about two weeks. “If the wells were impacted, then they would be monitored quarterly for a one-year period,” he said. Those wells belong to Christy’s store; the former Town Office, which is across the street; and a small business about 500 feet away from the store. Madore also said that the company doing the cleanup found “significant cracking” in the paved parking lot. “We will do a geo-probe of the parking lot to determine the extent of contamination beneath the parking lot as well,” he said. He said that the department’s Maine Ground and Surface Waters Clean-up and Respond Fund is covering the costs of cleanup and remediation work. The DEP was notified of the spill early March 14 and the incident was investigated by the Kennebec County Sheriff’s Office. Morin said Travis Willett, 35, of Vassalboro, was plowing for Mow by Joe, Inc., a local landscaping and snow removal company, and that he was issued a summons charging him with leaving the scene of a property damage accident. Morin said Deputy William Kulakowski, who was called to the scene at 4:07 a.m. Wednesday, estimated $12,000 in damage plus $5,152 worth of lost gasoline. Morin said the Belgrade Fire Department and the responders from the DEP were already at the scene.